Erzullie Fierce Plus Size Fashion Philippines: PLUS SIZE FASHION: FIERCE+FLAUNT PLUS SIZE SHOPPING EVENT REMINDERS! 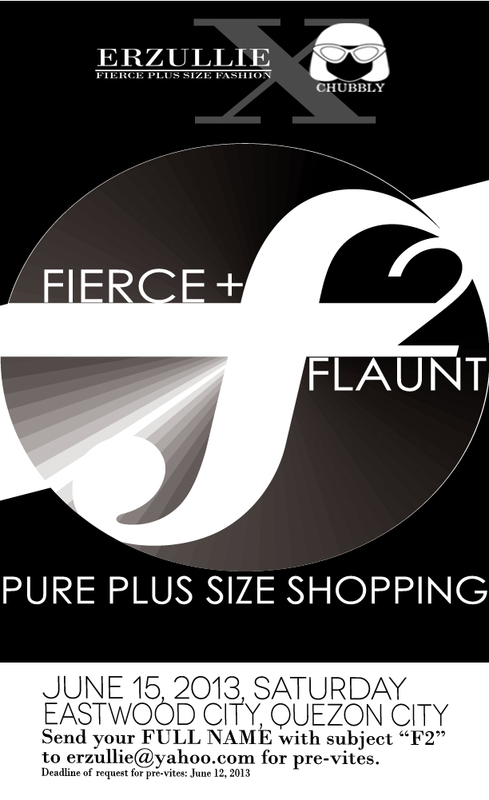 PLUS SIZE FASHION: FIERCE+FLAUNT PLUS SIZE SHOPPING EVENT REMINDERS! We would like to thank all of the Plus Size Fashionistas that asked for the pre-vite for the Fierce+Flaunt Plus Size Shopping Event! We are really very grateful of your support! We really appreciate it!